Join us to learn how Cisco AMP provides the continuous visibility and control needed to defeat malware across the extended network and the full attack continuum. Learn more at http://cs.co/6059BPkTW. 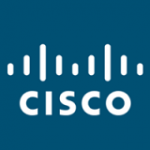 Subscribe to Cisco’s YouTube channel: http://cs.co/6054QiQr.